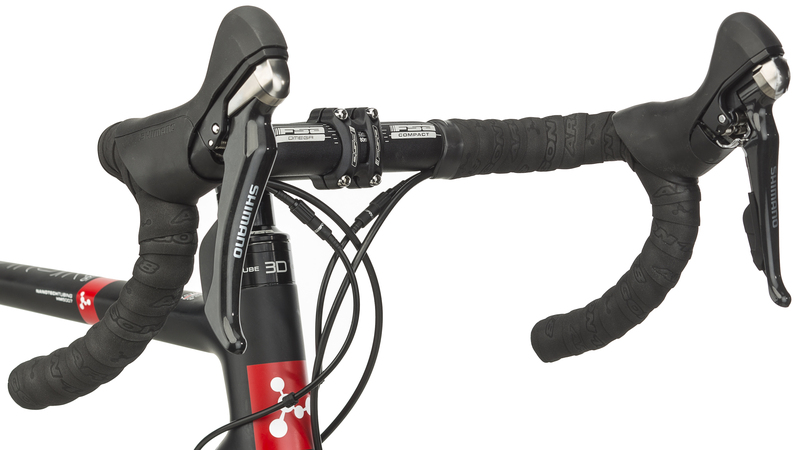 Comes complete with Shimano’s 105 5800 groupset for that undeniably reliable and smooth shifting perofmance you can count on! 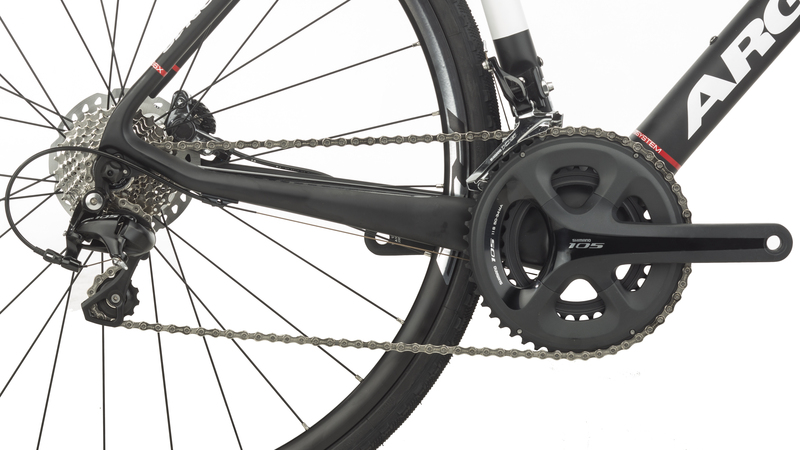 You’ll have a 50/34 105 crankset paired with a Shimano 105 11/28 cassette, allowing you to shift into the appropriate gearing for the ever-changing terrain. The Shimano RX010 wheels comes equipped with Vittoria Cross XN 700x31 tires, making the Argon 18 Ktypton X Road dirt/gravel-ready right out the box! Great bike for endurance riding! 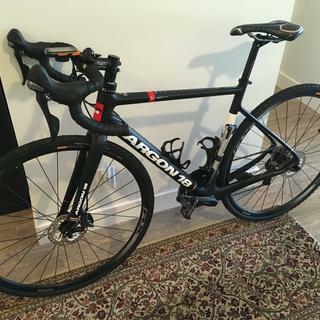 I've had my Argon 18 XROAD for about two weeks now and have put on just over 400km (250 miles). So far I'm really enjoying this ride. It has comfortable geometry that makes it great for longer rides and good in urban traffic. It's stable and not too twitchy - giving the rider (me) confidence. It's a pretty good climber and descends with aplomb. Shifting and braking are what you expect from Shimano, and that is excellent! The wheelset is solid but a little on the portly side. I have used it once on a gravel trail and I think it worked well, but I'm not really into this type of riding. I have swapped the gravel-orientated tires to Continental Grand Prix IIs and this has made the bike even better on paved roads. 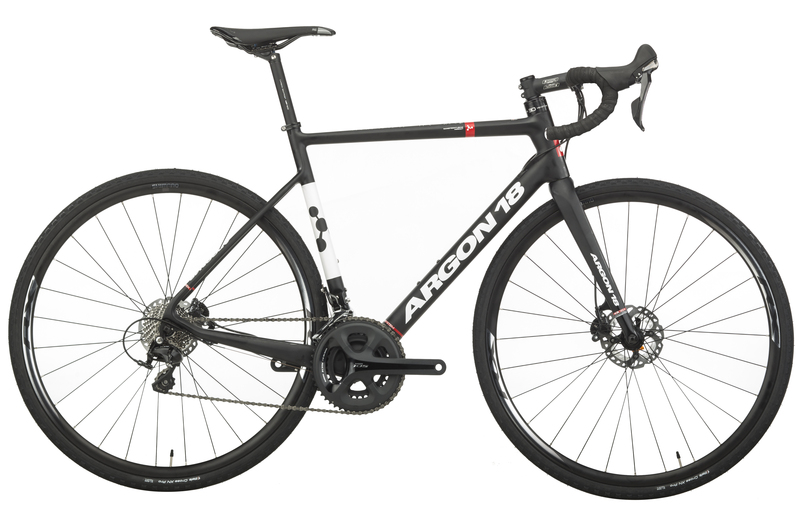 I'm very happy with my Argon 18 Krypton XROAD and recommend it to those who are seeking a well-built bike that can cruise all day long and come back for more. Is the bike frame carbon fiber like the fork ? BEST ANSWER: Yes the frame is Carbon Fiber. Are the brakes hydraulic or mechanical? BEST ANSWER: They are hydraulic. 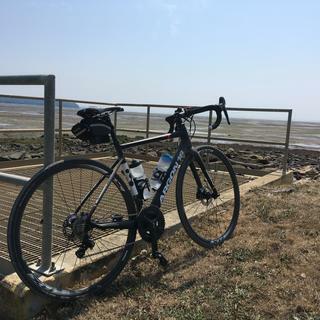 Can I install road carbon wheelset to this bike? BEST ANSWER: Yes. 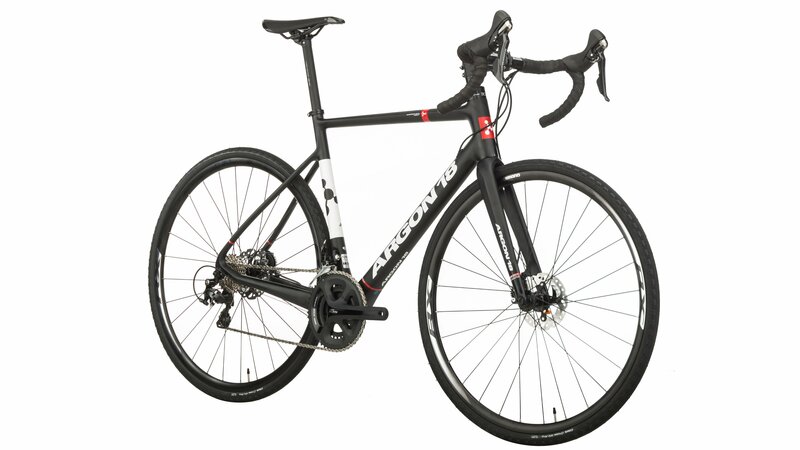 I recently purchased an XROAD and am shopping for a lighter wheelset. Disc-specific carbon wheelsets will not be a problem. Just make sure the wheelset is set up for quick release or if it's a thru-hub design order them with a quick release adapter kit. I've ordered a set of Hunt Aero Lights. Although they are not carbon wheel, they are just as light. Yes you can. Just make sure the wheelset is designed for disc brakes and is either quick release specific or quick release adapters can be added to the thru hubs. Yes. Just make sure the hubs are built for quick release skewers or can be adapted for quick release skewers. I am 5' 7.5" tall and ride a medium sized Santa Cruz Hightower mountain bike. I have never ridden a Cyclocross bike. What size do I need in this bike. Also, does the size vary from brand to brand? BEST ANSWER: I am about your height and ride this bike with small size without any problem. The geometry of the frame could be different from brands, so you may feel different on the same size frames with different geometries. By the way, this bike make me feel more like an endurance bike but a cyclocross one. Does this frame have mudguard mounting points? BEST ANSWER: Yes. There are two mounting points located on the inside of the fork blades, two located on the inside of rear seat stays and a further, single point at the bottom bracket facing the tire. What happened to this bike built with hydro di2?